Tags: Daily Wear, Ferozi, Kameez, Shalwar, White. 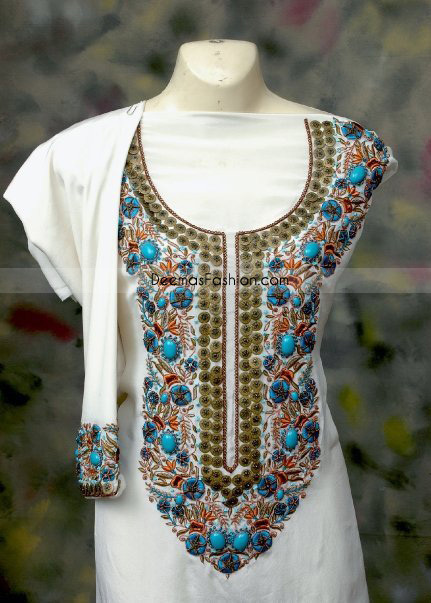 Top: White chiffon shirt having amazing floral embellish embroidery on neckline. Adorned with gorgeous embellish stone, thread and bead work on neckline and sleeve. Sleeve shirt with neckline style. Fully lined. Concealed back zip closure. Dupatta: White pure chiffon dupatta finished with piping on edges.